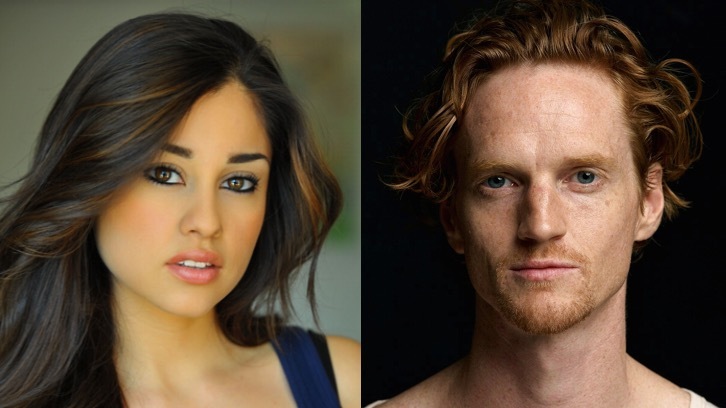 Yvette Monreal (The Fosters, Faking It) and Christopher James Baker (Shades of Blue, Ozark, True Detective) have joined the cast of Stargirl in series regular roles per Deadline. The upcoming DC Universe live-action series is being written by Geoff Johns. Stargirl follows High School sophomore Courtney Whitmore (Bassinger) who inspires an unlikely group of young heroes to stop the villains of the past. This new DC Universe series reimagines Stargirl and the very first superhero team, the Justice Society of America, in a fun, exciting and unpredictable series premiering in 2019, produced by Warner Bros. Television, Mad Ghost Productions and Berlanti Productions. DC Universe isn't revealing their roles but they are being described "only as undisclosed DC characters". Monreal and Baker join previously announced cast members Anjelika Washington and Brec Bassinger.